Hawaiian Experience Spa is the best, and one of the highest paying, places to work for massage therapists in Chandler, Arizona. We are an ‘ohana (family) and work as a team with massage therapists to maximize your income and work experience. Hawaiian Experience Spa has a fun and diverse work environment where LMTs provide real therapeutic massage, relaxation massage, body scrubs, body wraps, couples’ massages, and much more, in day spas owned and managed by massage therapists to offer you the best working conditions. We have excellent opportunities for advancement with our massage team leader structure. All massage therapists are in teams under a massage team leader who works with you. The team leader reports to the massage therapy manager who reports to the spa manager. This unique structure gives you great support as a Chandler massage therapist and real opportunities for advancement. Please click the link below to see list of current career opportunities at Hawaiian Experience Spa Chandler and other locations. If you choose to take a job as a Chandler massage therapist at Hawaiian Experience Spa you will be working under one of our team leaders, Jordan, Cynthia, Nathan, Wendi or Liz. All are experienced LMT’s and will help you get the most out of your experience at the spa. The Chandler day spa in managed by Sara Maurer and is an extremely busy location. 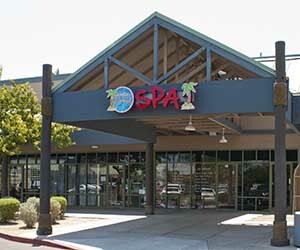 The spa is located in a shopping center with and stores and restaurants nearly for your convenience. Visit our Chandler Day Spa page for more information on the spa. To apply click the link above to see all job openings including Chandler massage therapists careers. Our Chandler day spa has been open since 2007. It is conveniently located at Ray and Dobson and serves clients in Chandler, AZ, Gilbert, AZ, Mesa, AZ, Phoenix, AZ and other surrounding valley cities.